Kitty Genovese - Description | W. W. Norton & Company Ltd. In 1964 a woman was stabbed to death in front of her home in New York, a murder The New York Times called "a frozen moment of dramatic, disturbing social change". The victim, Catherine "Kitty" Genovese, became an urban martyr, butchered in sight of thirty-eight neighbours who "didn’t want to get involved". Her sensational case provoked an outcry and launched a sociological theory known as the "Bystander Effect". 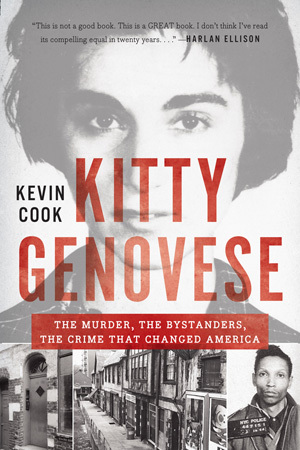 On the fiftieth anniversary of her murder, Kevin Cook presents the real Genovese. "Gripping" (The New York Times) and "Provocative" (The Wall Street Journal), Kitty Genovese evokes the gay and lesbian underground of Greenwich Village with feeling and detail. Cook reconstructs the crime, and drawing on lost documents and new interviews, explores the legacy of the case. His account of what happened is the most accurate and chilling to date. The inside story of the most colorful decade in NFL history—pro football’s raging, hormonal, hairy, druggy, immortal adolescence.